Also the division of our company commonly referred to as simply M-D, our Consumer unit leads the hardware industry in weatherstripping, floor trims, and perforated aluminum sheets. Product categories including aluminum shapes, SmartTool Digital Levels, and PROVA products provide further options for our customers to service their home renovation, restoration and remodeling needs. Known among consumers and industry professionals for high-quality performance at affordable prices, our products are available at most major hardware stores and home centers throughout North America. From our U.S. corporate headquarters in Oklahoma City, OK to our Canadian facility in Mississauga, ON, we strive every day to provide the high quality and affordability our customers expect while staying one step ahead of their changing needs. 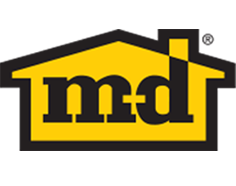 M-D consumer, known as M-D, leads the hardware industry in weatherstripping, floor trims and aluminum sheets. The building industry’s most expansive range of floor covering accessories is produced by our Canada-based M-D PRO business unit. From our Canadian headquarters in Mississauga, ON, we serve both the U.S. and Canadian markets with quality, reliable products that include installation and building accessories for carpet, hardwood and laminate, resilient, Luxury Vinyl Tile and Luxury Vinyl Plank as well as ceramic and stone through the PROVA line of products. The core product of our M-D PRO unit, a line of traditional aluminum and vinyl extruded floor transitions and moldings, is trusted by industry professionals throughout North America to provide smart solutions to a variety of installation challenges. M-D PRO products are carried by flooring and ceramic distributors and professional retail outlets throughout North America. M-D PRO (formerly the Loxcreen Flooring Group) provides the industries broadest range of floor covering and building accessories. For serious DIYers and top-level contractors, PROVA offers fast, easy solutions for bathroom and tile renovations. Included are shower system kits, waterproofing products, uncoupling underlayments, ceramic tile trims and a wide variety of innovative accessories for long-term project success. PROVA products can be found throughout the flooring distributor channel and in select retail stores. For serious DIYers and top-level contractors, PROVA offers fast, easy solutions for bathroom and tile renovations. 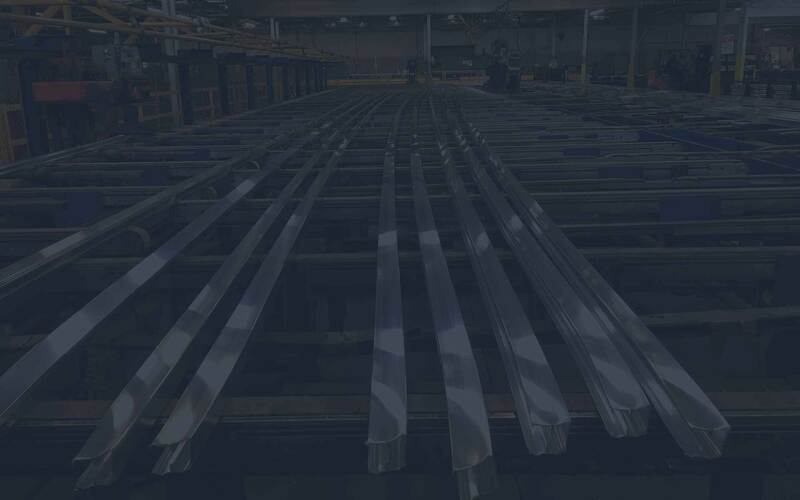 Through our custom aluminum extrusion business, we build specialty components for other manufacturers and can produce, finish, stock, and deliver products specific to their needs. With dedicated production and distribution facilities located in Oklahoma City, OK, Middletown, OH, Hayti, MO, and West Columbia, SC, we are also able to offer anodizing, powder coating, wet painting, precision fabrication, wholesale and retail kitting services, providing our customers with one-stop-shop convenience. M-D Metal Source is our custom aluminum extrusion business. We build specialty components for other manufacturers and provide a range of services. M-D’s custom vinyl extrusion services are provided through our Brooklet, GA and Woodburn, OR production facilities. A trusted resource for manufacturers, we offer proprietary and stock profiles, and are able to extrude high-tolerance items and fulfill a broad range of custom needs in both the specialty extrusion and door shop markets. Additionally, our in-house die shop enables us to create dies quickly and with greater precision. M-D Plastics is our custom vinyl extrusion business. We provide quality plastic extrusions for other manufacturers offering proprietary and stock profiles. With accuracy to hundredths of a degree, SmartTool Digital Levels are the single smartest choice for projects that live or die by precision. Our caulking and sealants business unit, based in Gainesville, GA, operating from a state of the art manufacture plant, produces the industry’s highest quality products. Including a full line of acrylic and silicone sealants for indoor and outdoor application. Industry professionals and do-it-yourself consumers have come to rely on Tower for products. We provide products that consistently perform above average, whether a Tower Sealants brand, our DuPont™ brand or one of our customers’ customized private labels, Tower exceeds expectation. Tower Sealants is our caulking business, manufacturing the industry's highest quality acrylic and silicone products. Our state-of-the-art manufacturing and lab capabilities make Tower the professional paint channel leader. Since 1982, Morse Industries has focused on building a company culture that is driven by the needs of its customers. Industry professionals come to Morse Industries for top-quality products such as glass railings, stainless steel railings & fittings, shower enclosures & hardware, architectural extrusions, slide track systems, stainless steel & aluminum tubing, marine rub rail, and canvas fittings. Morse Industries also provides custom aluminum & vinyl extrusions as well as stainless steel and aluminum castings and machined parts. Morse Industries, an M-D Company, provides working solutions in railing, shower, architectural metals & custom extrusions to professionals in multiple industries.